Dietitians have long been recommending Special K cereal to clients as a low fat, moderate fibre breakfast cereal option. This advice in no longer simple since Special K has extended their cereal line. Nothing beats a nice warm bowl of porridge to warm you up before work or at your desk.. Enter the very convenient porridge cups and sachets. Smith's have launched the latest in low fat potato chips, so how do they compare? What kind of bread is the best and is it worth the price? Read about some of the breads and look at a comparison. When taken orally, this gel is thought to coat the lining of the gastrointestinal tract and produce soothing qualities. Food For Health offer a range of wheat, sulphur, dairy and cane sugar free muesli varieties. They focus on supplying a high fibre, healthy breakfast muesli alternative. Energy Drinks - To Drink or Not to Drink? They are well marketed and popular with children and adults alike. But what are these caffeine laden drinks really doing to us and our children? Chai Tea - Is it Good for You? Chai Tea is a very popular tea/coffee substitute now days, but how does it really compare diet and health wise? Choosing a helathy cereal can be difficult, with so many different cereals to choose from! These small frozen yoghurts are a excellent after dinner snack and equal to only 45 calories or 188.40 Kilojoules per serve. CSR Smart is a new product brought out by CSR as a replacement for sugar but has half the calories. It is a blend of sugar and sweeteners. 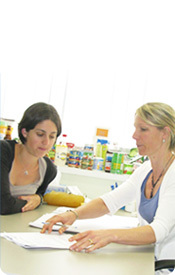 Many people following the Atkins diet are now able to purchase Atkins Advantage Products in Perth. We reviewed a number of these products and compared them to similar non Atkins advantage products. These biscuits claim to be 97% fat free and a good source of fibre. Both of these claims are correct, as seen in the nutrition information table. These biscuits also have a Low Glycaemic Index, meaning they provide a source of sustained energy. Mountain bread is a great substitute for bread, particularly if you are trying to watch your weight. It comes in a variety of flavours from wheat, rye, corn etc. one slice is equal to 1 slice of commercial bread but you can spread it with a filling, top with salad and roll it up. It can make a substantial and filling meal. Ever wondered which was better – reduced fat ice cream or frozen yoghurt? This is one of a range of new low fat cold meats on the market. Hans is adding an additional selling point with its claim of adding essential Omega-3 Fatty Acids. This milk has been supplemented with omega-3 fatty acids. Omega-3 fatty acids have been shown to help reduce blood pressure and blood lipids/fats. This margarine has been supplemented with plant sterols. One twenty gram serve per day has been clinically proven to reduce blood cholesterol by reducing cholesterol uptake or absorption. This product is high in Calcium, Vitamin D, Folate and Phosphorus. It is also lower in fat than Hilo milk. This is a relatively low fat biscuit product with a Niacin content of 20 % of the RDI (recommended dietary intake). This is a fresh or long life product that has no significant fat. It has a higher protein and calcium content than full cream milk. Due to the remarkable health benefits of Omega 3 fatty acids, many products are now being fortified. Hi- Omega Margarine is one of these products. It can be used in cooking and has a good flavour. It has the same energy value as all regular margarines and isn’t as expensive as the plant sterol ones. You needn’t consume as much to be of benefit. We would recommend this product.